He is a familiar face on your TV screen as the entrepreneur and star of Channel 4’s hit business show, Posh Pawn. However, James started out as a property developer in Surrey and was doing exceedingly well at the time. 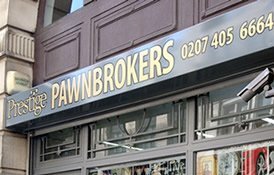 With funds to play with James decided to set up Prestige Pawnbrokers up after reading an article on asset lending in one of the Sunday papers.